Press the + key to zoom in in increments. Once you've finished working with a selection, you'll want to deselect it. 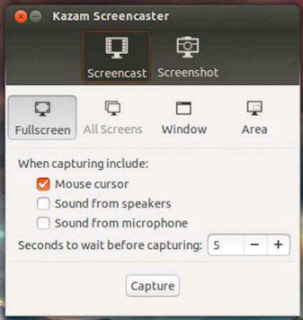 A simple tool Kazam will capture the content of your screen and record a video file that can be played by any popular video players.. It also records audio from any sound input device. Kazam provides a simple and clean user interface, I have tested more screen recorders, but kazam is the best. This will help you to make video tutorials. This will support FOUR modes, Fullscreen, All Screens, Window and Area. you can change frame rate by default it is 15.